It could be some time before we hear from indie poppers the Clientele again. While last year saw the release of the Minotaur EP, the material was mostly left over from the Bonfires on the Heath sessions. Also, back in 2009, frontman Alasdair MacLean admitted he was uncertain of the band's future. While the Clientele haven't broken up just yet, MacLean is moving forward, which explains the announcement of his new band, Amor de Días. 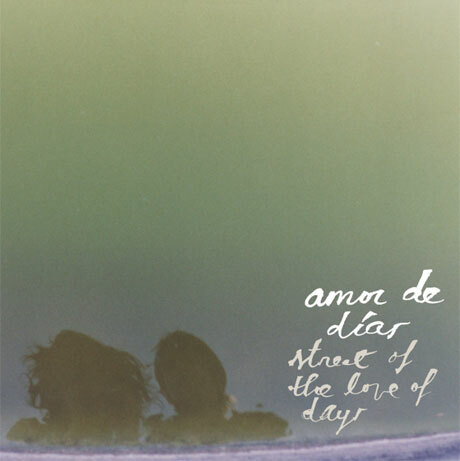 A press release explains that the duo of MacLean and Pipas member Lupe Núñez-Fernández will be dropping their first disc, Street of the Love of Days, through Merge on May 17. The group aren't as fresh-faced as you may think though; the pair have been prepping their platter for over three years, and the partnership had been burgeoning long before that. Recorded between Spain and the UK, the album reportedly uses Spanish guitars, strings, recorders and gorgeous vocal harmonies to drive its chamber pop sound. Beyond the main duo, other musicians featured on the set include Damon & Naomi, Ladybug Transistor's Gary Olson and frequent Clientele collaborator Howard Monk. Check out tracklisting below. Additionally, you can download luscious first single "Bunhill Fields" here. 8. "I See Your Face"
10. "Street of the Love of Days"